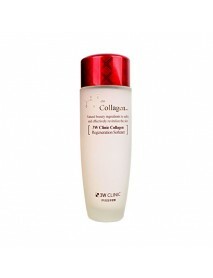 Collagen Regeneration Softener＇Product DescriptionThis moisturizing toner with marine collagen and other natural ingredients smooth your skin while deeply hydrating it.It also refreshes the skin while keeping the PH balance.Helps condition .. 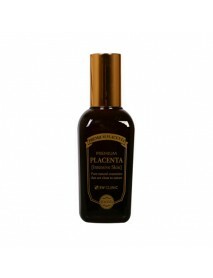 Premium Placenta Intensive Skin＇Product DescriptionPlacenta(pig) extract is a new conceptual cosmetic water in a way that it suppliesvarious kinds of skins with several cosmetic ingredients, and its suitable mix withother pure natural substances such..
Hyaluronic Toner＇Product DescriptionHyaluronic acid and herb ingredient provides moistureand nourishment to the skin.＇How to useAfter Cleansing, dispense toner on a palm or a cotton pad.Gently apply on face in an outward motion.＇Capacity - 100ml..
New Classy Bright Seed Toner＇Product DescriptionA brightening toner that softens the rough skin texture and improve skin transparency. 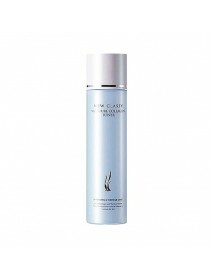 Bright Seed Complex and Niacinamide help boost skin transparency to retain clarity. 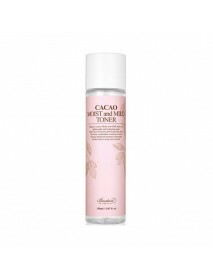 This toner also contains galact..
New Classy Moisture Collagen Toner＇Product DescriptionMoisturizing toner that balance the moisture in skin to make moist and smooth skin texture.Moisture marine complex balance the moisture in skin to moisturize the dry skin.Soluble collagen and sodi..
Cacao Moist and Mild Toner＇Product DescriptionFor all skin typesBenton's Cacao Moist and Mild Toner is a lightweight and hydrating toner.With Cacao Extracts and Hyaluronic Acid, this toner replenishes moisture to skin.Various botanical extracts in th..
[CIRACLE] Anti Blemish Toner [Description] Anti-microbial toner that removes residual surface debris and oil and penetrate pores to prevent blemishes from forming. 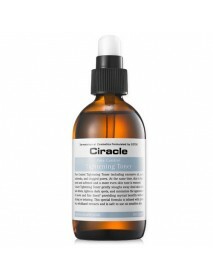 Medicated with tea tree soil, it gently exfoliates, refreshes, and calms s..
[CIRACLE] Base Toner pH 5.6 [Description] Skin's pH is a slightly acidic pH. 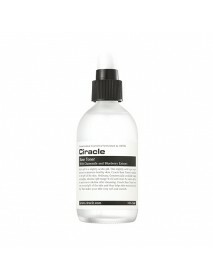 This slightly acid layer is important to maintain healthy skin. Slightly acidic skin is our body's first defense mechanism against bacterial invading and growth ..
[CIRACLE] Pore Control Tightening Toner [Description] Refreshing toner for combination skin, oily skin, wide pores.Gives pore tightening and sebum control while supplying moisture and reducing oil.Provides clear skin texture by excellent firming ef..
[COSRX] Galactomyces Alcohol-Free Toner 150ml [Description]Galactomyces ferment is an advanced antioxidant that helps to softening, smoothing, and enhancing lustre. [How to use]Use in the day and night after cleansing. Soak a cotton pad and wipe gen..